From the author of the award-winning short story “Half” comes the novel that started it all! Death brought them together. Their society wants to tear them apart. To the Dragons of the Hall of Wingéd, Cassius is a prodigy and the most promising Demon slayer in the newest Candidate class, while Emmy is just a simple Moth, a collector of souls and unfit to handle the dangers of being a soldier. The deeper their bond grows, the more their fates intertwine, and it will transform their world for better or for worse. When a witch kills their Seraph, Cassius will have to decide where his loyalties lie and if he's willing to sacrifice it all to protect the woman who would do anything to save him. The Writer’s Digest Self-Published Book Awards writes, "And I LOVED the story of Cassius and Emmy. I was engrossed by the connection between them. While it's not a traditional love story, I wanted to read more about them” and “Emmy especially was my favorite character in this book[...] She was so different than I expected her to be[...] and shined in the book by doing what she wanted." 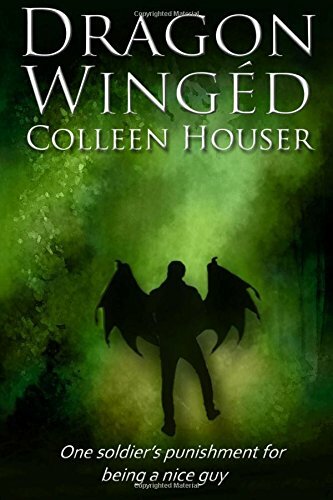 And don’t miss Houser’s stunning sequel, Wingless!